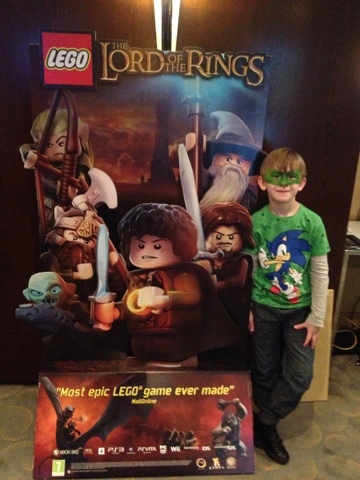 2 ,We were really lucky to go to the WarnerBros blogging event in London, it was a chance to try out some new games and learn about new home entertainment, My son enjoyed playing the new Harry Potter game on the Kinect, it looked like real good fun, he loves the Lego games and was really excited at getting a chance to play Lego Lord of the Rings as it hasn't been released yet. 3, My foot still has some healing to do, but I am happy to be returning to work on the 12 November, it will be nice to get back into a routine and mixing with people again. I will look forward to reading all your reasons. Please leave a comment, as i enjoy reading them. The blogger events sounds great. Well done you on getting involved in such stuff so early in your blogging journey.